OUR PRICE: $96.72 - Join Rewards Get $9 Dance Dollars On This Item! 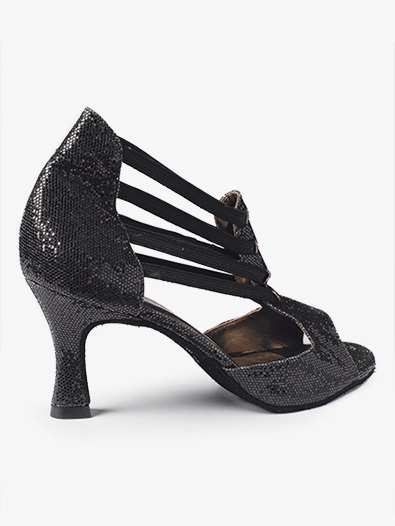 A shoe that stands out as much as you do. 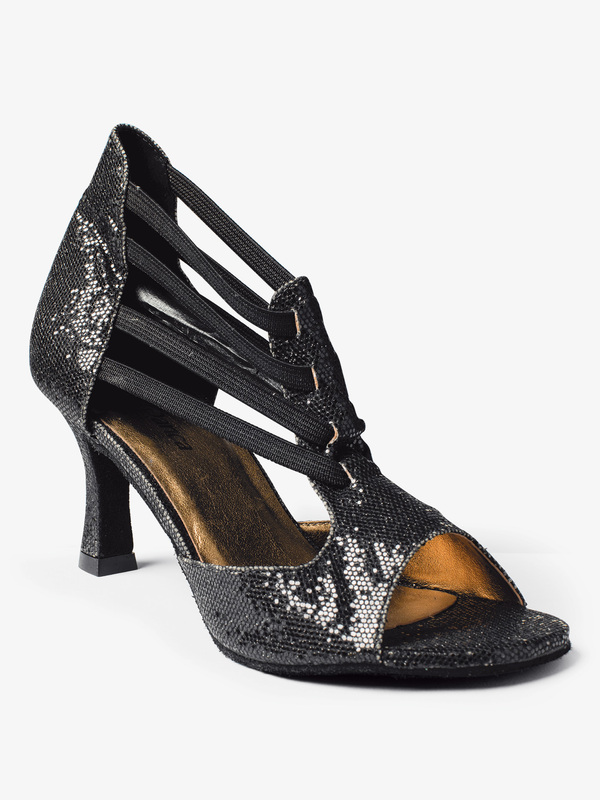 The dazzling "Rafa" shoe features an open toe, t-strap with elastic side straps for the utmost comfort, all-over sparkle fabric, canvas upper, and a 2.5 inch heel. Suggested Fitting: Women order 0.5 size smaller than street size.